Well, the fall season is just about officially ready to begin, and south Georgia is beginning to feel the affects of it also. Martha and I spent last week in Highlands, N.C. where, thanks to elevation, it felt more like winter than fall if you are a native South Georgian. When we arrived last Monday morning, the external thermometer on my car was reading 38 degrees—BRRR ! We spent the week doing our normal thing there—I read books on my Kindle while Martha tried to help the local economy by shopping every day. This morning got off to less than a stellar beginning for me. I missed a trophy armadillo in my yard at 5:30 am. As I was explaining to Cader IV that the flashlight slipped in my hand about the time I was squeezing the trigger, he responded, ” Dad, you sound a lot like most of our guests describing how they missed a quail. It is always every reason except the fact that they just missed the bird”. He may be correct, but he had better not make a mistake this week or I plan to pounce on him like “white on rice”. 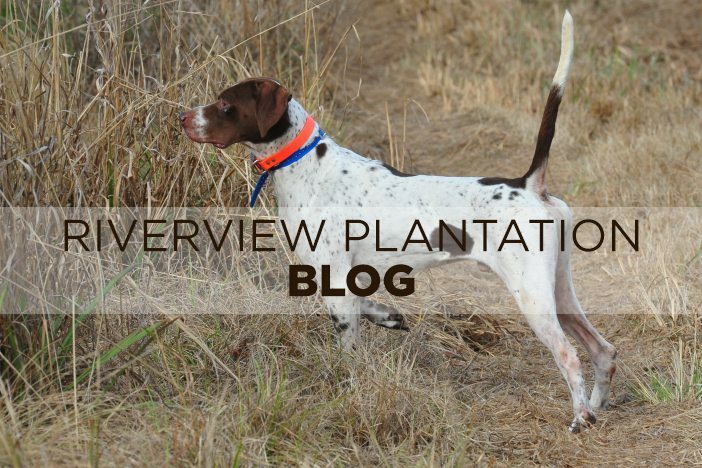 Speaking of quail, this week we will begin the integration of our pointing and flushing dogs working together. Dogs are like people, and have distinct personalities. It’s Moss’s job to find the dogs that get along and work well together. This is also the time of the year that our vet bills climb due to dog fights until the alpha males rise to the top, and we make certain that we are not pairing two alpha males together. Jerry has also begun official guide training for our three young guides that we have hired for the season. This process will include three weeks of formal class room training and woods orientation, followed by three weeks of field work as apprentices to our senior guides. We have three fine young men joining us this year. As a closing note, just in case any of you have tried to call us in the past day or so and received no answer, we are still in business. However, we have no telephone service. It seems as though we may have sliced our main ATT phone cable while preparing to plant our winter rye grass on the borders of the Lodge road leading into the main lodge. Since our harrow only goes about six inches in the ground, I find this hard to believe, but our ATT guy swears that it’s the case. We have a dig crew coming this morning to locate and splice the cut. The lodge grounds and woods look great, and we are looking forward to a great 2015-2016 season. Give us a call, and come see what all we have done since your last visit.